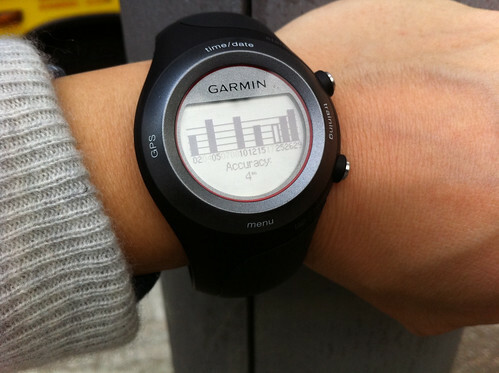 My first gadget for running was a simple HRM watch, it tells me heart rate only nothing else. Then I got my iPod Touch which supports the Nike+ running app to tell the distance I ran by counting number of times I hit the ground. Adidas miCoach was the next one I tried. After 8 months of using miCoach it’s about time for it to retire. 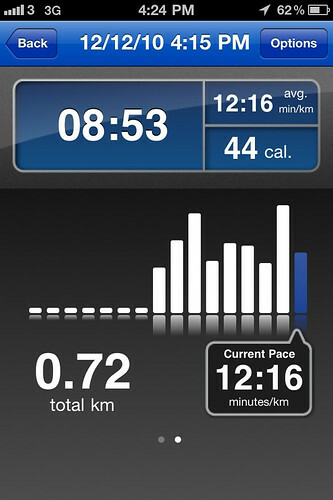 To be fair both NIke+ app and miCoach are great gadgets but GPS is missing from them. 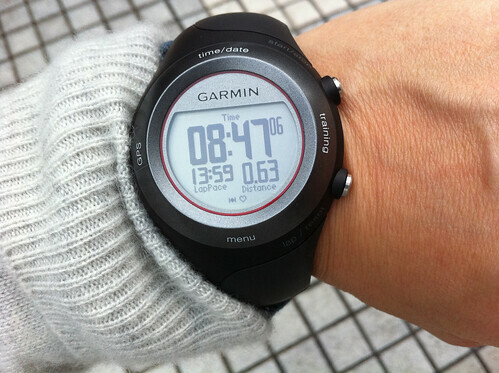 I got my new toy last Saturday after I returned from my near half marathon run in Sai Kung. I then tested the GPS reception last Sunday with the free RunKeeper iPhone app. One of my concerns about GPS watches is reception. Reception can be affected by tall buildings trees and vicinity to hills etc. The nearest route I run is a trail along hill side so I hesitated investing on a GPS watch. After getting this new Garmin 410 I immediately tested the GPS reception. The below screen shows how many satellites are locked and accuracy. Best reception along the way to the bus stop was an accuracy of 3m. I ran for the first time with the watch today below is the activity log. The miCoach “foot pod” or the strike sensor is also ANT+ compatible I successfully paired that with Garmin. 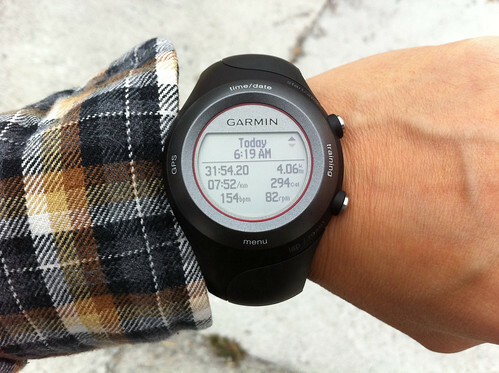 You asked why the fuss of using GPS watch? Accuracy isn’t the main issue if I ran 20k or more. It would be nice if I could map every scenic routes I have tried. Goodbye for now Adidas miCoach I’ll miss your voice feedback/coaching. May be Adidas will add GPS one day. This entry was posted on	December 14, 2010 at 9:37 pm	and is filed under Uncategorized. After much anticipation I have just managed to get my hands on the new Garmin 410. I have been training for a good few years now with the old forerunner 405 but when I accidentally managed to crush my old watch (dont ask) there really was no other option other then to go for the 410. The Adidas miCoach system is supposed to guide you through workouts by providing audio feedback as it keeps track of your vital stats.